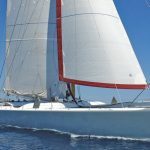 Grant Dalton’s round the world race winner Club Med has been relaunched as the ultimate global ‘fast cruiser’ Ocean Pearl. 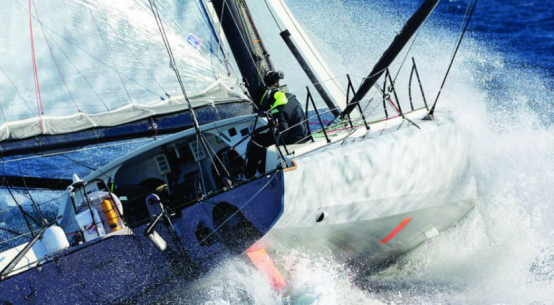 You might not wish to push it all the way to 40 knots… but you can! Its huge scale – including a vast, towering sail plan flown from a rotating 39.5-metre mast and boom and a carbon bowsprit – ensured that from the very earliest sea trials the boat’s performance was nothing short of breathtaking. Main picture: As the maxi cat Club Med, this boat was in a class of its own, winning its first round the word race with a three day margin, breaking several speed records and notching up daily runs of nearly 700 miles. Now called Ocean Pearl, it has emerged from an extensive refit as quite possibly the world’s fastest blue water cruiser, equipped with hydraulic winches and a full complement of cruising comforts. The boat’s huge scale and oceangoing pace made it the talk the sailing world in the run up to The Race and when the fleet left Barcelona, Spain on the first day of the new Millenium, Dalton’s men quickly established an unassailable lead. 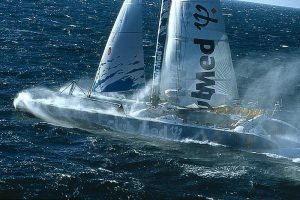 Club Med stormed around the planet in record time, completing the 27,000-mile course past the world’s three great southern capes in just over 62 days – nine days inside the previous benchmark time. Along the way Dalton’s crew raised the 24-hour distance bar to 655.2 miles, averaging a remarkable 27 knots. 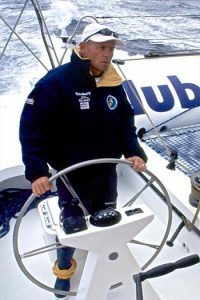 A year later, re-christened Maiden II for British skipper Tracy Edwards, the maxi-cat was back in record-breaking form once again, regaining its 24-hour distance record with a run of 697 miles in the North Atlantic off Newport, Rhode Island at an average speed of 29 knots. Edwards’ crew of 10 pushed the boat to a new top speed – a remarkable 44-knot peak– on the way to their new record. 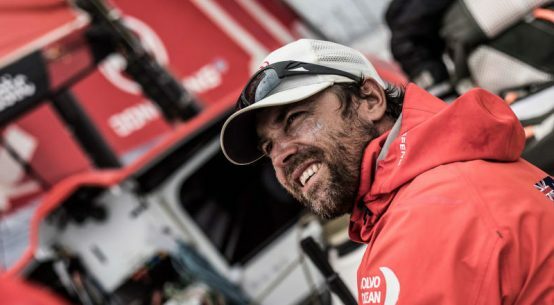 ‘The fact that we hit over 40 knots testifies to how hard we were pushing, the conditions and the boat’s performance capabilities,’ said helmsman Paul Larsen at the time. After undergoing a comprehensive refit in 2015, this extraordinary boat has been reborn as Ocean Pearl and has a new life as a fast, comfortable and safe blue water cruiser. On deck, the powerful Lewmar winch package has been upgraded to hydraulic power. Along with other modifications to the deck layout, this means the boat can be easily sailed by as few as three people. Included in the refit was all-new Southern Spars/Future Fibres standing rigging, Blew Stoub Dynema running rigging, Facnor roller-furlers for the Solent, staysail and gennaker headsails, as well as a complete overhaul of the boat’s two Volvo Penta 105 horsepower engines. Down below, the original stark racing interior has been upgraded with light, comfortable, high-quality accommodation more conducive to luxury blue-water cruising. To minimise any ill effects to the boat’s performance, a close eye was kept on the weight added during the installation of the new inside layout, with only a two-ton increase overall. The air-conditioned owner and guest accommodation in the port hull comprises two double cabins and one triple, two toilets and two showers, and a six-person saloon, while the crew accommodation in the starboard hull includes two double cabins and one single, one toilet and shower, and a full-specification galley with watermaker, two refrigerators and a deep freeze. The professionally equipped navigation station in the starboard hull features all-B&G instrumentation and a navigation computer. Notably, despite her imposing size, with a draught of less than a metre this boat has the potential to access anchorages that conventional deepkeel blue water cruisers simply can’t. 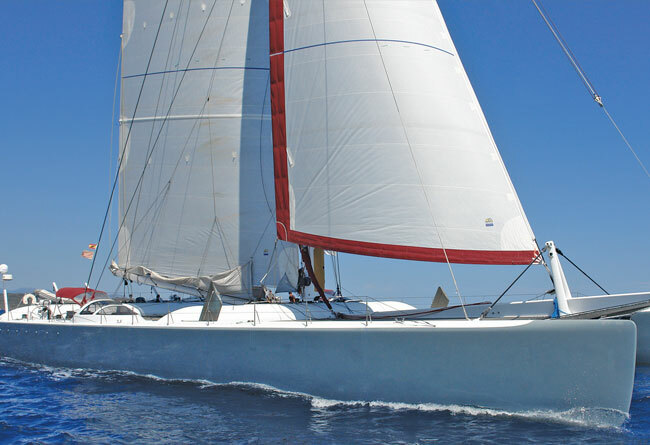 Lightly used since the completion of the refit, Ocean Pearl is available immediately for an adventurous owner looking to combine the excitement and exhilaration of a pedigree high-performance racer with the comfort and status of a well-appointed maxi-cruiser. Those yearning to see the world by sea can do so on their own terms and without taking an age to do it. After a very similar refit to Ocean Pearl’s almost identical sister ship, Swift – the former Orange and Kingfisher 2 – the owner set off on a whistle-stop lap of the planet taking in some of the world’s most beautiful and remote locations and completing the circuit in just 10 months.